This is a nice red and white LED variable brightness torch. You can easily switch from red and white and the wheel on it makes it easy to turn the brightness down. 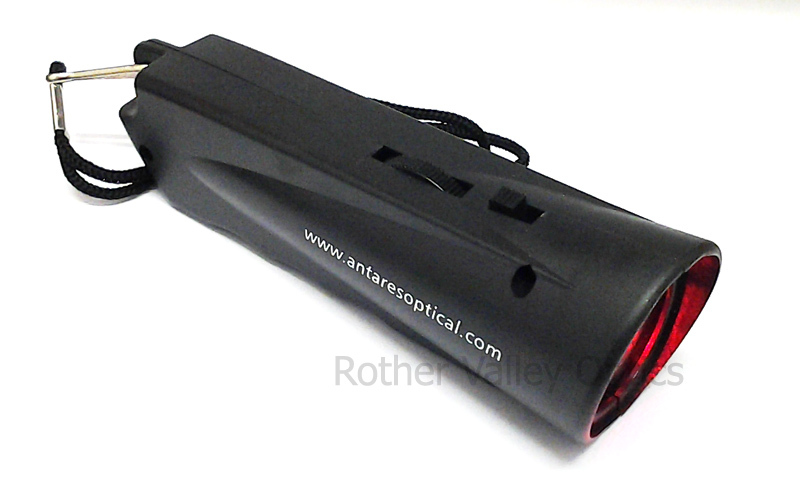 Ideal for looking at star maps and charts when observing. A must have for any keen observer. Made of plastic so it's lightweight and also includes a neck strap so you can keep your hands free. Skywatcher SP Series Super Plossl Eyepieces 1.25"
Celestron X-Cel LX Eyepieces 1.25"